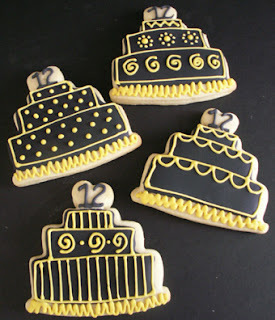 I've had quite a few people ask me how to make black icing and I thought it might be a good idea to share with you my experiences. I think the easiest way to make a black buttercream is to start with a chocolate buttercream (or add cocoa to your icing) it tastes good and will instantly make your icing darker. Next add a small amount of black gel colouring using a toothpick and mix in. Keep doing this until your icing is starting to look a bit darker. The colouring will develop over time so it's best to make this in advance and leave it for a few hours. That way you can check back on it to see if it has turned completely black, if it hasn't then just add a little bit more black again. You can use liquid colouring too but you may have to use lots! Royal Icing is a bit harder to make than buttercream. The best method I have used it to add a whole bunch of gel colours together to get a disgusting dark colour, then add black gel colouring. The reason I do it this way is because when ever I have added black gel to royal icing all it does is eventually go dark grey, not black. Black fondant is a pain in the bum! If you are planning on covering a cake in it I would suggest buying some because it will save you a lot of time. You can also buy it then add it to a chocolate fondant then add a little black gel, that way you're stretching your bought fondant a bit further. 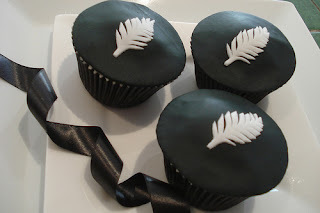 Failing that, here's how to make black fondant: start with a chocolate fondant (I use Bakels) add black gel colouring using a toothpick, knead the colouring into the fondant until it is all one colour. This takes quite a long time but in the end you will get black! Remember that the colour will develop over time so best make this the day before you need it...also because your hands will go BLACK!